Happy Monday everyone, I hope you managed to stay warm and dry over the weekend. Our temperatures went from the humid mid-sixties Saturday to a wind chill of 7˚ this morning! The saying “If you don’t like the weather, wait a few minutes and it will change.” is always true in the south during the winter. 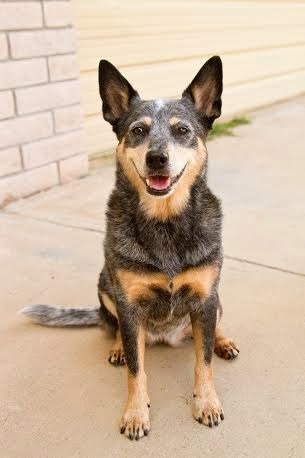 Heeler. She will become a fun character in the next release of The Returns adventure. Pawsome job, Bella! When I chose the four dogs as the finalists, I had storylines in mind for each of them. It is one of the reasons they were selected from the many entries that I received. Each dog had a particular quality that would mesh well in The Returns new adventure. The winning dog’s character would become more involved in the story. That being said, I want to announce that the other three finalists will also make an appearance in the upcoming book! I had integrated each dog into the story in case he or she won so those parts will remain. Each dog is wonderful and I truly appreciate the owners taking the time to enter, participate in getting people to vote, and of course, their support of The Returns! High Five to Pepper, Brownie, and Lola! To all of the pet parents who didn’t make the finals, don’t give up! There are many more adventures for The Returns to take part in and many more contest coming! In the meantime, make sure that you read both books that are currently available so you’ll be up to date on what the gang is doing. 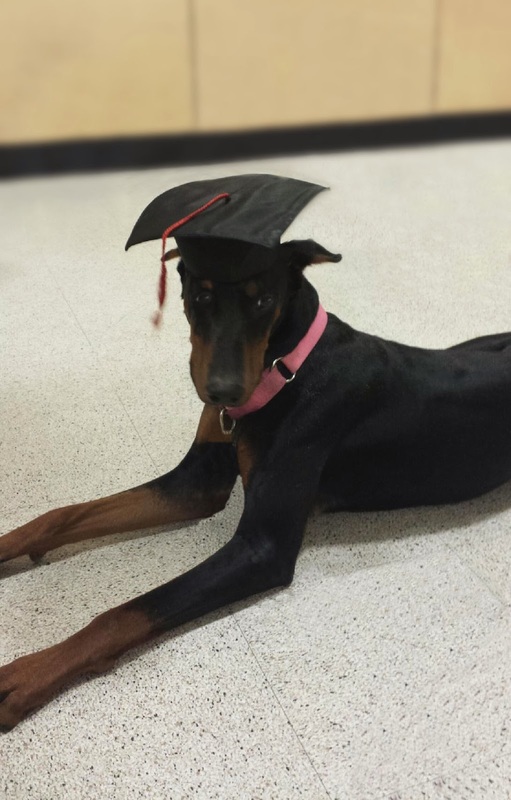 graduated from Obedience School last week! Congratulations Breezy ~ We are proud of you! Breezy liked her picture :) and congrats to bella! Give Breezy a kiss on her snout for a job well done! I'm glad she liked it. : ) I'm excited to include Bella in my newest book. She will be great! Thanks so much! I am thrilled to add the character of Bella into the action. She will be a perfect fit. Congratulations!